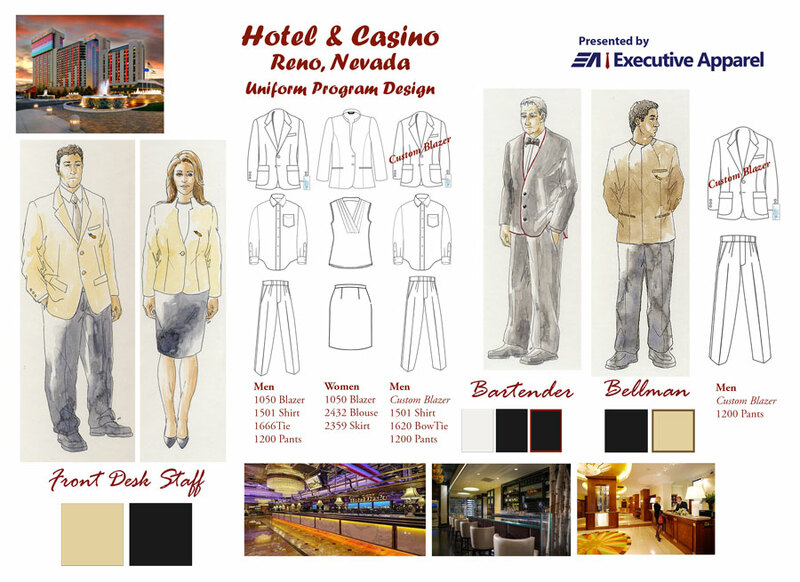 Create the look you envision with Executive Apparel’s comprehensive in-house custom capabilities. With custom designs you can achieve the image you want in a wide range of styles, colors and fabrics. To help you realize your project Executive Apparel is proud to offer small minimums, short turn-around, wide size scales and the stamp of quality that customers demand. Orders for wholesale custom uniform programs we require a minimum of 72 pieces for Blazers and 144 pieces for all other items. Custom embroidery is available. Many marketing services are available to help you sell your custom programs. These incomparable features combined with our outstanding customer service make Executive Apparel a Leader in Custom Apparel Design.